Put some diced strawberries in the glasses and pour the smoothie on top of it. Garnish with diced strawberry on the top of the smoothie. Serve immediately. 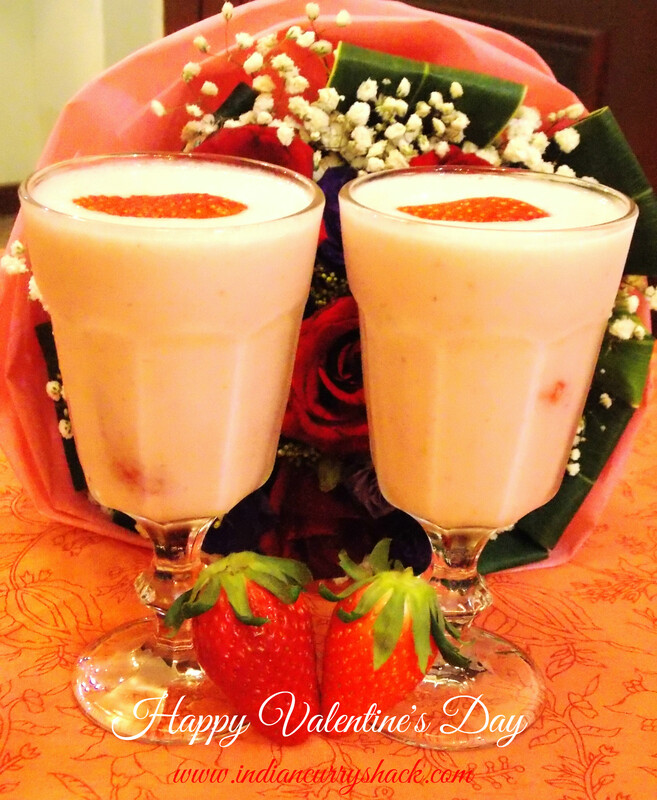 Enjoy your special day with this very special Strawberry Smoothie! I love this smoothie! Thank you for not putting banana in it! That I don’t care for but they all seem to include it. This is a perfect Valentine treat.